Metform International Ltd., a member of The Bradbury Group of companies, specializes in the design and manufacture of Roll Forming Machinery & Coil Processing Equipment. Metform strives to build a highly skilled, extremely dedicated team of employees. Everyone from sales to manufacturing has a passion for creating robust, well designed equipment many loyal customers rely on. 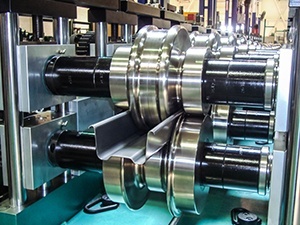 The innovation that goes into Metform's machinery is the result of working closely with customers and developing equipment that best fits their production needs and gives them a competitive edge. Watch the corporate video to discover why Metform's equipment designs have proven longevity in the industry. “My goal is to foster a collaborative team effort on a daily basis to ensure our customer’s buying experience brings them back every time.” Mark Volkmann, President - Metform International Ltd.
Visit www.metformintl.com or call +1.905.670.2057 to learn more.